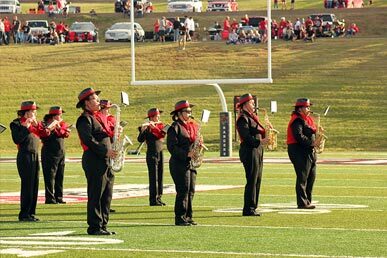 Northwestern Oklahoma State University is a public regional university that has received national acclaim for its combination of high-quality academic program and affordability. 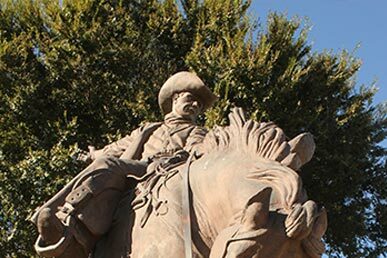 While Northwestern primarily serves the vast geographical area of northwest Oklahoma and the Panhandle, its students come from more than 40 states and 20 countries. HOMECOMING The Alva community, Northwestern alumni, current students, faculty and staff, as well as prospective students and bands from surrounding areas join in celebrating the Ranger family. FIGHT SONG Northwestern’s fight song is “Ride, Rangers, Ride!” It’s tradition to stand, clap and sing to show our Ranger Pride whenever this song is played. ALMA MATER “Oh, Northwestern” is the university’s alma mater. 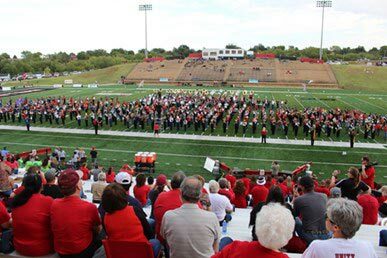 It’s sung and played at various events, including commencement, football games and the Spring Alumni Reunion Banquet. 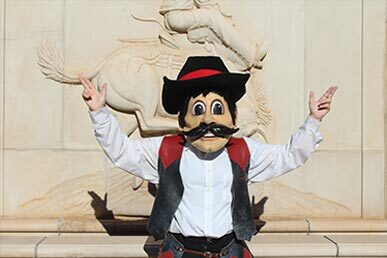 MASCOT & COLORS "Rowdy Ranger" is our mascot character and can always be found at our home athletic events, homecoming events and anywhere to entice Ranger pride for the Ranger Family.